Chief Sir Akinyele Opeyemi Alexander: Born on April 24th 1938 to Pa Akinyele a soldier and an ex-serviceman who was by the end of the Second World War holding the rank of a Regimental Sergeant, he retired in 1974 as a Court Clark in Ondo town. Alex attended all Saint Primary School Ondo, Gboluji Grammar School Ile-Oluji and St. Andrew’s College Oyo. While at St. Andrew’s College, he was appointed the school first reception prefect. 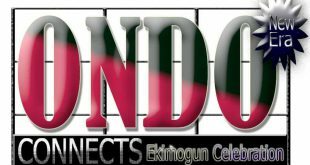 He studied English language at the prestigious university of Ife now Obafemi Awolowo University. On leaving Ife he worked as a teacher at Olofin Grammar School Idanre and in June 1967 he applied to join the Nigeria Police force and was offered a place as a trainee assistant Superintendent of Police, but fate had other plans for him. On reporting to the Police Service Commission, the other 12 trainees recruit were not present due largely to the commencement of the civil war. He was directed to join the customs. After his 18 month training programme, Custom Controller Henry Duke appointed him the first Public Relation Officer of the Nigeria Customs and Excise. Chief Akinyele, Remains a man that will never shy away from public glare or the press. If success is a relative word then judging by his own standard one can say it without fear that Chief Akinyele is a successful man, one that doesn’t believe that money guarantees happiness. A man of vast tentacles, a Communicator, Public Relation Practitioner, industrialist and Executive Director of so many functional Companies, and above all a Philanthropist. Chief Alexander Opeyemi Akinyele is a charismatic man of gait and immerse stature and yet unbelievably accessible. Following his retirement from the Customs he joined the private sector business. It is on record that he is the first former secretary general of the Nigeria Institute of Public Relation that eventually became the President. As president of NIPR he was very vocal and actually changed the face of public relation in Nigeria. In fact he injected panache into the body. Ebullient good looking, and entertaining Alex is truly an Image Maker who is always ready to contribute meaningfully to any healthy discussion that bother; on the advancement of the Nigeria polity as well as the upliftment of public relation practice in the country, A cursory look at part of his achievement during his tenure as NIPR President reveals that he fought against quacks in the profession and encouraged large registered memberships. Under his leadership NIPR liaised and aligned itself with the universities of Lagos, Akoka and Nigeria, Nsukka for more emphasis on public relation in their mass communication syllabus. 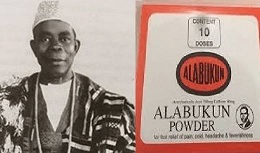 Perhaps it was on this basis that the former military president, General Ibrahim Badamosi Babaginda deemed it fit to first of all nominate him as a member of the constituent Assembly and later appoint him as the Minister of information thus becoming the very first public relation practitioner in Nigeria to be appointed into that post. In his stint as the Information Minister/ Chief Akinyele did not only perform his role creditably well but also with great zeal, enthusiasm and style. Chief Alex Akinyele has received so many chieftaincy titles which include Lobosin of Ondo land and Jagunmolu of Ipetu-Ijesha just to mention but a few. Despite the fact that President Babaginda was noted for shuffling hJS cabinet at will/ Chief Akinyele was still considered as among the Ministers that could be discarded. Eventually when the president decided that it was time to have a change in the information ministry, he thanked Chief Akinyele tremendously and promise him yet another job. Akinyele was later appointed the Chairman of National Sports Commission (NSC) though several years later he bowed out from the NSC in a circumstantial manner, his tenure as the boss of the NSC saw Nigeria moving to a greater height, it was under his chairmanship that a Nigeria Contingent for the first time did put up a superlative performance ever. Nigeria won a bronze and four silver medals at the 1992 Barcelona Olympic. The following year the Nigeria under 17 team the Golden Eaglet won the under 17 world cup (Japan 93), in addition to the golden boot and the fair play prize. In 1994 the Super Eagles for the very first time too also qualified to play in the final of a world cup (USA 94). At the peak of his public life and even today at seventy, Sir Alexander Opeyemi Akinyele who was knighted by king Juan Carlos 1, Rey. De Espana on 15th November, 1991 remains a colossus communication pundit and a guru in public relation. 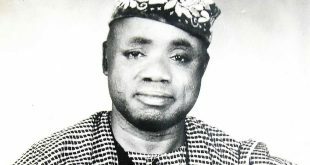 Chief Alex Akinyele was also the Chairman of the National Reconciliation Commission. 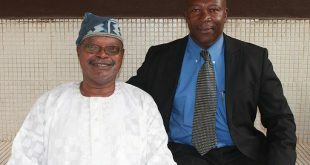 Author, Researcher, Curator, Tourist Ambassador, Director General Center For Research, Information Management and Media Development, CRIMMD – CRIMMD FREE PUBLIC LIBRARY, Photo Museum of Nigeria History, Publisher of African Dame and The National Biographer Magazine.